The largest wholly South-African-owned outdoor advertising media specialist continues its endeavours of patriotism as Primedia Outdoor officially becomes a member company of Proudly South African in efforts to contribute to economic growth and prosperity in South Africa. The leading “buy local” initiative was established in 2001 out of socio-economic necessity to address job creation and the resultant poverty reduction. In essence, Primedia Outdoor rallies behind the advocacy work of Proudly South African and both share a vision to see a progressive South Africa. Commenting on the membership, Peter Lindstrom, Sales and Marketing Executive of Primedia Outdoor said, “We are truly delighted to join forces with Proudly South African and our membership will serve as a key forum from which to continue propagating and influencing buying local. Primedia Outdoor’s unwavering commitment to deliver cutting-edge OOH advertising and using our capacity to drive positive change in our society rightly complements Proudly South African’s mandate”. 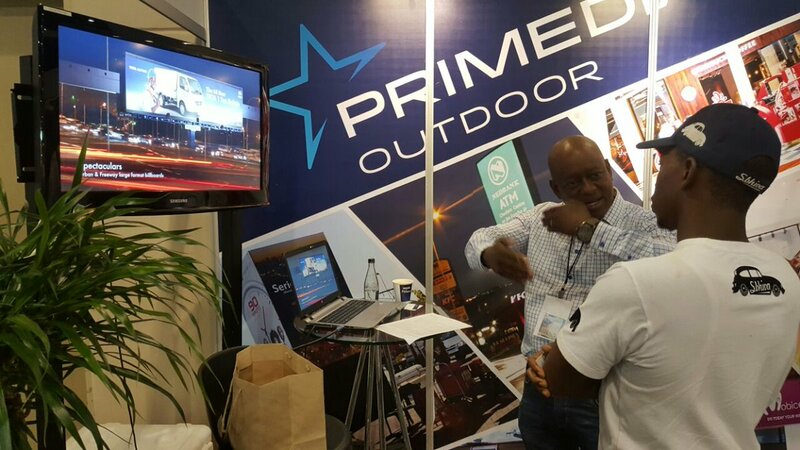 To support the upliftment of local brands, three well-deserving SMMEs collectively won a staggering R175 000.00 worth of outdoor media exposure courtesy of Primedia Outdoor at the Buy Local Summit & Expo 2018 held at the Sandton Convention Centre. The 1st prize champion of the competition was Touch Net, a business-to-business service focused company specialising in MPLS and WAN Connectivity Solutions for corporate clients and SME’s, who walked away with R100 000.00 worth of outdoor advertising. In second and third place was Soccer Rugby Sports Game (Pty) Ltd, an independent NPO which invented a new combination of soccer and rugby sporting codes and Moshiga Risk Solutions, a Pretoria-based establishment specialising in carpentry, rubbish removal, paving and construction, who won R50 000.00 and R25 000.00, respectively. “In trying to think differently about how to extract added value from our media relationship, we proposed the idea to Primedia Outdoor of providing smaller businesses with the massive platform and exposure that is outdoor advertising. We thank them for coming on board with this initiative and for providing these 3 companies with such an exciting opportunity as an extension of our own advertising package around the Buy Local Summit & Expo”, says Eustace Mashimbye, CEO Proudly South African. He added, “It will be a huge thrill for these enterprises to see their companies up on those billboards and I’m sure, like us, they are extremely grateful for Primedia Outdoor’s support”. This year’s conference programmes were again split into two days. Day 1 was a workshop hosted by Leanne Manas entirely devoted to entrepreneurs and SMMEs and it looked at supplier development programs and how they offer an entry to market for small enterprises. Day 2 mainly focused on the business of local procurement and there was an exhibition held with over 200 companies in attendance promoting and showcasing local products and services. Speaking on the impact of the affair, Mr. Siyabonga Zungu, the Brand Manager of Proudly SA said, ”We are creating a solid platform for all our members to exhibit to over 1 000 visitors with our main focus being localisation and the resolute promotion of dialogue amongst local institutions. For visitors to the summit, it is an opportunity to learn about the work of Proudly South African, the benefits of membership and how to leverage buying local”. Through its membership with Proudly South African, Primedia Outdoor has demonstrated the will to back this much-needed campaign and its capacity to address the inevitabilities of buying local. Primedia Outdoor is also aware of the need to constantly encourage the nation to make personal and organisational contributions to economic growth of South Africa and in this regard, affirmed its readiness to act in close cooperation with all members towards the furtherance of Proudly South African objectives.